Watch your freight costs. The purchasing department is often disconnected from awareness of the freight charges and any savings from price reductions can easily be consumed with high freight charges associated with rush orders, spot orders, or inefficient packaging. Place blanket orders. Blanket orders in which the customer provides a specific release size with specific release dates help us to use purchasing leverage with raw material suppliers and enable us to make longer-term volume commitment to the suppliers. Blankets orders also enable to maximize our batch size to reduce the cost of materials and labor. Avoid rush orders. 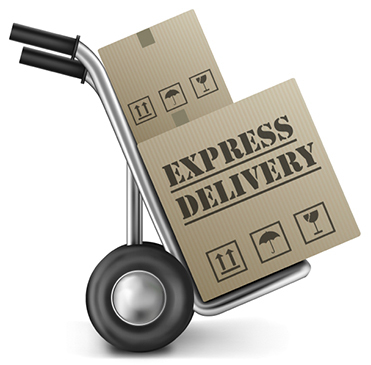 Rush orders are very expensive to process and ship, as well as being very disruptive to our manufacturing process. Rush orders increase the cost of an order to such a degree that Mereco needs to charge an expediting charge to cover the added costs. As Mereco is a manufacturer, not a distributor, many raw materials and finished goods may not be in stock and so the expediting fees our suppliers charge us may significantly add to the cost of the product and the order might need to be made specifically for the customer that needs it right away. Optimize your packaging sizes. Many customers purchase product from Mereco in inefficient package sizes that could be modified to reduce cost. For example, purchasing a product in a five (5) gallon pail is usually more efficient cost wise than purchasing in a one (1) gallon pail, a quart, or a pint. As long as the material will not remain in your inventory for a lengthy amount of time, there is nothing in the design of the product (such as settling) that might create storage issues, or the package size is locked in on an internal specification, you should investigate moving to a more efficient package size. Avoid Change Orders. Change orders are very costly for Mereco to process, particularly if the change applies to a blanket order. Often, changes are arbitrarily done by the customer MRP system, based on how the system evaluates min/max levels. It can take our customer support department up to two hours to completely change a long-term blanket order if one or two release dates are changed. This increases our costs of processing which ultimately is passed on to the consumer.